Performances will begin on July 15. 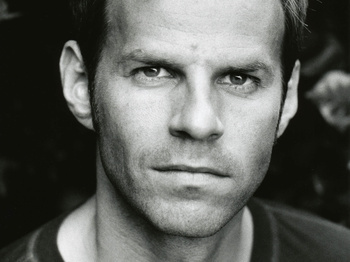 U.K. stage and screen star Ben Richards will star opposite Beverley Knight in the previously announced West End return of The Bodyguard. He takes on the titular role of Frank Farmer in this hit musical, which will run at the Dominion Theatre from July 15 through January 7, 2017. Richards currently plays Sergeant Ben Bradley on the British soap opera Hollyoaks. In the West End, he has appeared in Guys and Dolls, Grease, Saturday Night Fever, The Full Monty and Pricsilla Queen of the Desert. Additional screen credits include The Bill, Doctors and Holby City. In addition to Richards and Knight, the cast will include Rachel John as Nicki Marron, Carole Stennett as alternate Rachel Marron, Mark Holden as Bill Devaney, Alex Andreas as Tony, Dominic Taylor as Sy Spector, Matthew Stathers as Stalker and Glen Fox as Ray Court.